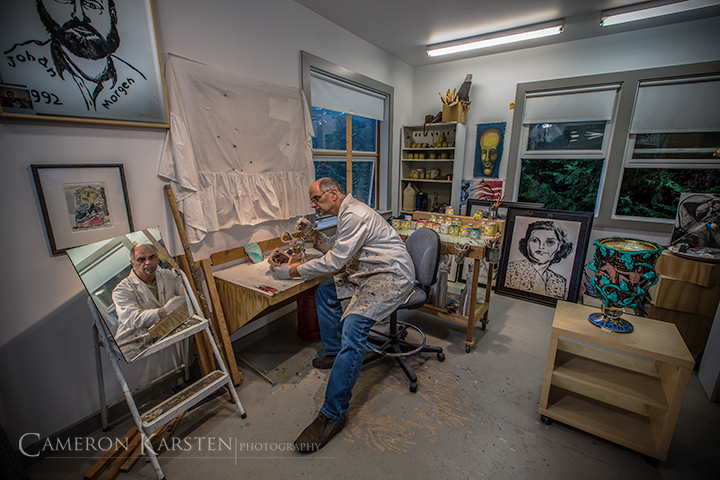 Renowned glass artist, Robert Carlson painting in his studio. What exactly is he painting? 16mm composite, 1/8 sec at ƒ/20, ISO 100, tripod.